Avoid Slipping and Falling on Winter Ice and Snow! Winter has decided to visit North Texas today. That means it's time to think about trying to prevent slip and fall injuries. Lots of people fall on ice and snow every year without serious injury. Not so fortunate were some 16,000 Americans who die each year from falls, according to the National Safety Council (NSC). Falls rival poisoning as the #1 home accident in the United States. The number of injuries or deaths from falls due to winter conditions is not recorded by the NSC. But, safety experts agree that many injuries result from falls on ice-covered surfaces. Wear boots or overshoes with soles. Avoid walking in shoes that have smooth surfaces, which increase the risk of slipping. Walk "small." Avoid an erect, marching posture. Look to see ahead of where you step. 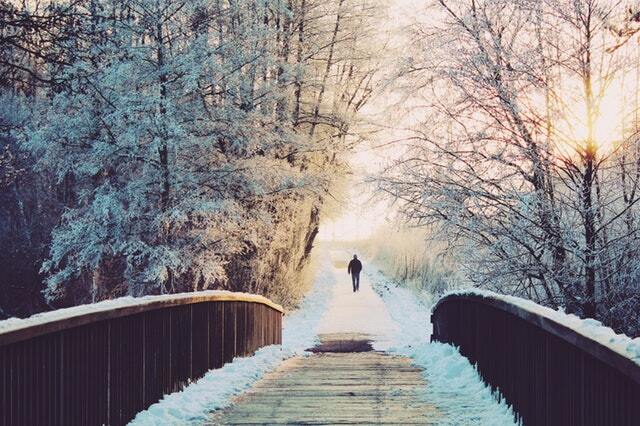 When you step on icy areas, take short, shuffling steps, curl your toes under and walk as flatfooted as possible. Remove snow immediately before it becomes packed or turns to ice. Keep your porch stoops, steps, walks and driveways free of ice by frequently applying ice melter granules. This is the best way to prevent formation of dangerous ice patches. Waiting for it to melt can sometimes take days! It takes, on average, less than two seconds from the moment you slip until you hit the ground. That's precious little time to react. In that instant, the risk is an injury to your head, a wrist, hip, ankle or shoulder. When falling, it is best to use a tuck-and-roll principle. It's important to tuck your body, lift your head and avoid trying to break the fall with a hand, which can cause a wrist injury. The idea is to make yourself as small as possible by rolling up into a ball. People in North Texas hardly ever think about falling on ice and snow, but serious injuries can occur. If you are a klutz or are planning to spend a lot of time in the cold; following these guidelines may help protect you from serious injury this winter. If you do happen to fall and sprain your ankle or foot, call the office. Help is just a phone call away! And remember, just because you can walk on it doesn't mean it is not broken. That's a worthy read! This information is surely going to help many of the readers. Thank you for sharing all your efforts. Shoe cleats for ice are just as critical for people who live in climates with occasional ice storms as for those who live in the north. Refer to blog post: https://winterwalkingtraction.magellanshop.com/blog/safely-survive-ice-storms-with-shoe-spikes-for-ice/ for further details and suggestions. Walk safely!